Our Cast — Pop Up Theater, Inc.
Tommy is an actor and producer. Helena’s acting career began at a young age whilst trying to attract the attention of her parents; the youngest of three girls born each a year apart. After tearing her ACL in high school, where she was a three-sport athlete, Helena took to the stage full-time. She studied drama at the University of Washington and moved to Los Angeles after competing regularly with an improv/comedy troupe. This past year, Helena produced and starred in Broad Street, a night of one-act plays featuring an all female cast at The Lounge Theater. Doug appeared in The Maiden's Prayer at the 2nd Stage in LA, and has acted in numerous plays in New York City, including Wolves (59E59) and Over Here (The Flea Theater). Film/TV credits include Life Hack (feat. Devin Ratray of Nebraska, and Derek Wilson of Future Man), and 5 Senses of Fear (Chiller TV). As a filmmaker, Doug wrote and directed Jada, which has played in dozen of festivals around the world and has over 14,500,000 views on YouTube. Doug graduated from UW - Madison, and continues his acting studies at the Imagined Life Studio in Los Angeles. He is thrilled to be making his debut with the Pop-Up Theater Company. Darius De La Cruz’s stage work ranges from improv (RIP iO West) to stints at Rogue Machine (Alternate in “Bull”) and The Garry Marshall Theatre (understudy for Everyone Else in “Bunny Bunny”). He just cracked a dozen television credits, favorites of which include “The Comeback” (HBO), the “Criminal Minds” season 13 closer, and the “NCIS” season 15 opener. Thanks to book club and all the other ways family and friends support him. 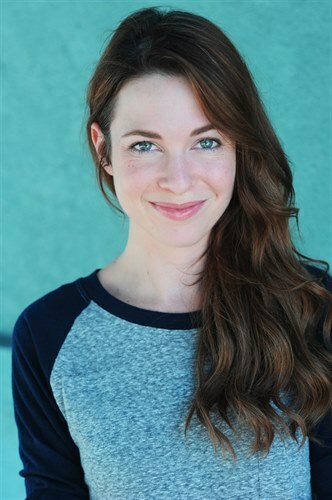 Soren McVay (Kate) is a California native and graduated from UC Santa Barbara’s Actor Training BFA. Favorite past roles include Titania in Midsummer Night’s Dream and Masha in The Fairytale Lives of Russian Girls. She does film and television her in LA and is so excited to be back on stage with this extraordinary group of artists! Thanks to her family, friends and Lorcan for their unwavering love and support. Jill Galbraith is a Los Angeles-based actor and writer. She is absolutely delighted to be collaborating again with Pop Up Theater Inc., with whom she made her LA Theatrical debut. Her previous theater credits includePterodactyls (Pop Up Theater, Inc.), Proof (Act III Theatre Ensemble), Peter Pan (Peninsula Youth Theater), Judith (UCLA Theaterfest),and The Glass Menagerie (UCLA TFT), to name a few of her favorites. She wants to humbly thank the cast and crew of Seminar for their unyielding passion, ferocious talent, and generous warmth. Raleigh is an actress/writer/producer and owner of Wild Mountain Features. She’s grateful to be a company member of Pop Up Theatre where she played Becky Shaw in their 2016 production of Becky Shaw, and she’s thrilled to be back working with them on Pizza Man. Best Actress Winner at The Broad Humor Film Festival for her web series Vageniuses (also wrote/produced), Best Actress in a Web Series Winner 2014 Chicago Comedy Film Festival for her web series Or the Burrito Gets It! (also wrote/produced). Raleigh considers her biggest accomplishment to date not being able to tell she’s vegan by her Facebook posts. Emma Chandler is thrilled to be playing Julie in her first Pop Up Theatre LA production. Originally from Pasadena, CA Emma has been acting in Los Angeles for over 10 years and graduated from the University of Southern California where she received her B.A. in Theatre. When she’s not playing a woman on the verge of a nervous breakdown, Emma can be found obsessing over cats and eating Chipotle, although now that sounds very similar. Her favorite roles include Puck in A Midsummer Night’s Dream, Texas in Cabaret, and Ivy Smith in On The Town. She dedicates this performance to anyone who has ever felt helpless or taken advantage of. 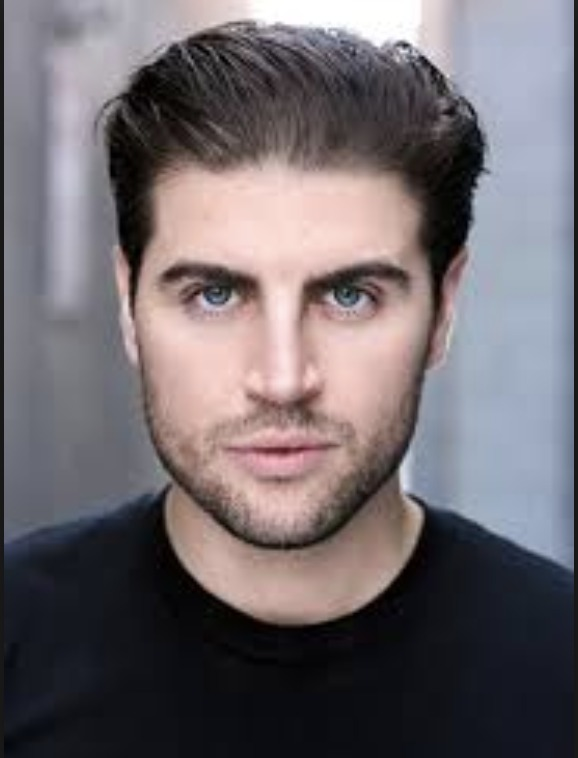 Freddy Giorlando is an actor and producer. After working 8 years in New York he has recently moved to Los Angeles this past year. He is currently pitching his show Adulthood to networks, a television pilot he acted in and co-produced. His past credits include working on the HBO show Vinyl directed by Martin Scorsese & the Off Broadway Production of the Slums Of Neverland. Pizza Man is his first production with Pop Up Theatre. Freddy is super grateful for the opportunity to work on this story would such amazing people and would like to thank all his family, friends and girlfriend for their continued support. Melina graduated from Emerson College. She moved to LA in 2016 after living in NYC for 3 years, performing in various projects including improv at UCB, stand-up at Gotham Comedy Club, a new play at The New Theater, and various short films. Since moving, she shot the indie horror-comedy, Witch-Hunt, which premiered at the USA Film Festival, and season 2 of the award-winning web series Nasty Habits soon to stream on Blue Fever. Since April she has started a comedic podcast called Actress Shmactress on itunes. She is stoked to join Pop Up Theatre in Pterodactlys and thanks her family and friends for continuing to pretend like this isn’t a pipe dream. Benjamin Rawls, 25, is new to the LA scene and has trained with American Conservatory Theatre and the American Academy of Dramatic Arts. As both a musician and actor he lives and performs in Hollywood whilst finishing his Bachelor'a degree. His credits include, most recently, "Catlady" (Oliver) with LOFTEnsemble in Sherman Oaks; "Animal Farm"(Narrator), "The Henriad"(Hotspur), "Dracula"(Lord Holmwood), and "The Mystery of Edwin Drood"(Neville Landless), "Vanya and Sonia and Masha and Spike"(Spike). He sends all the love to his angel of a Mother who keeps him from starving and has always uplifted his dreams, and his patient Father who continues to inspire him to skate the river and work harder every day, and of course, everyone else who helped along the way. Ben loves the work he does and can't wait to see where it takes him. Cambrian is originally from Deerfield, Massachusetts. He graduated Yale University with a degree in Theater Studies. Since moving to Los Angeles, his work has included appearances on Amazon's Transparent and Disney's Kirby Buckets, as well as a variety of short film roles. When he was a child, he knew the names of all the dinosaurs. Skip PipoArthur - Skip’s credits include LA Theater Works national tour of "Dracula", "Copenhagen," "How I Learned to Drive, " Mrs. Warren's Profession" (LA Weekly nominee), LADCC award nominated"Equus" and "Enron," and the North American tour of "West Side Story." Thank you to all the "pterodactyls" team for this wonderful opportunity! Donna Lear Goldfarb hails from Miami Beach where she made her acting debut in the production of Gidget." She had a successful career in selling network-television advertising time before raising a family . Donna also holds an M.S.W. and leads grief support groups for Our House while continuing to support other non-profit organizations. Donna came back to the stage in 2016 for the starring role of Susan in Pop Up Theater's hit show Becky Shaw (Pulitzer Nom.) and is thrilled to be in the new production of Pterodactyls. Donna would like to thank her husband Barry and children, Michael and Amy, for their continued love and support during this exciting endeavor! Jill Galbraith is a current senior at the University of California, Los Angeles in the School of Theater, Film and Television. She is absolutely delighted to be making her Los Angeles stage debut with Pop Up Theater LA. Her previous theater credits include Proof (Act III Theatre Ensemble), Peter Pan (Peninsula Youth Theater), Judith (UCLA Theaterfest), and Nine (UCLA TFT), to name a few of her favorites. She wants to humbly thank the cast and crew of Pterodactyls for their generous support and warmth, as well as her adoring parents, who are still getting used to this whole "acting" thing.